Surrender all actions to God. God is the supreme underlying intelligence behind all the creation. By surrendering you allow the Divine Intelligence to guide your actions. * A brief introduction to the twelve houses and the planetary interrelationships. * Detailed treatment of each of the twelve houses of the horoscope with description of several planetary combinations relevant to each house. * A chapter on yogas, or specific planetary dispositions, that deals comprehensibly with the numerous aspects of an individual, including physical, mental, intellectual, financial, sexual and social. * A detailed account of astrological indications of various medical ailments, highlighting subtle principles of medical astrology. * A complete chapter on the highly important subject of determination of longevity, indicating numerous yogas that determine the various life-spans. 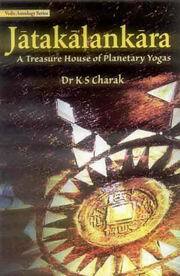 * The book is profusely illustrated to elucidate its rich astrological content.